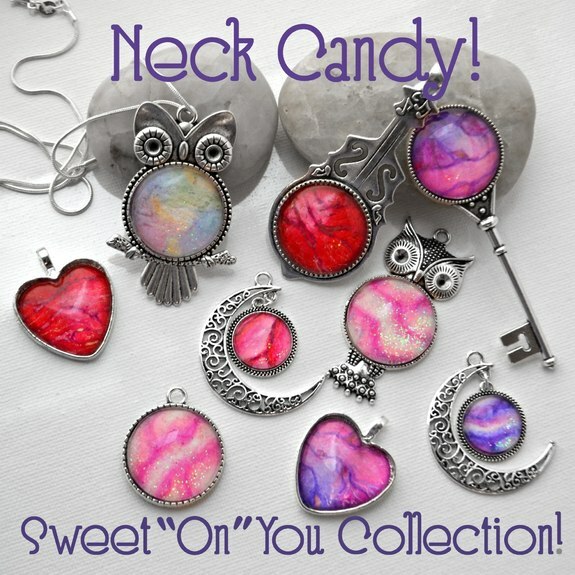 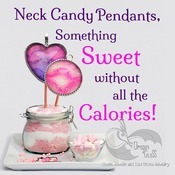 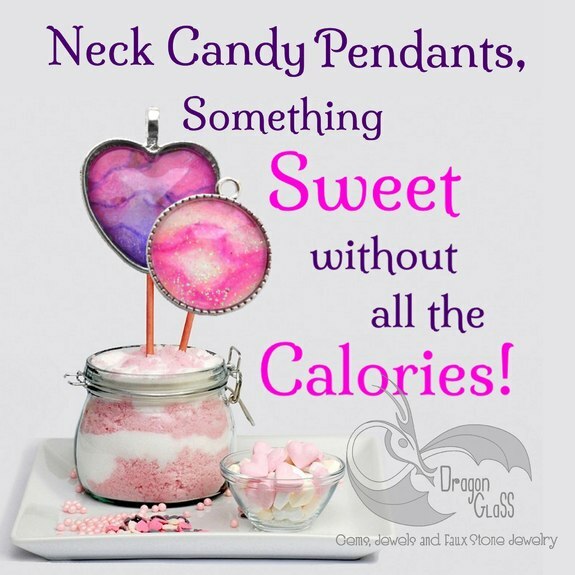 This necklace is an elegant, yet playful heart pendant in a fun "bubblegum Swirl" inspired color palette of pinks and reds, delicious enough to satisfy even the biggest sweet tooth! 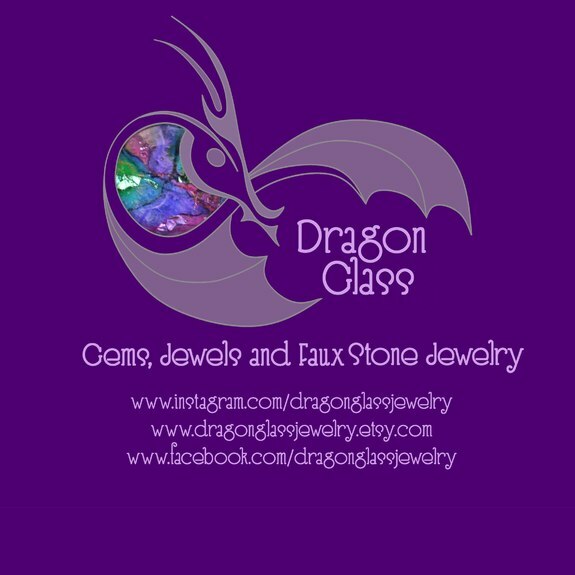 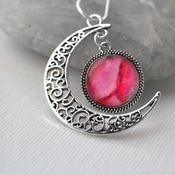 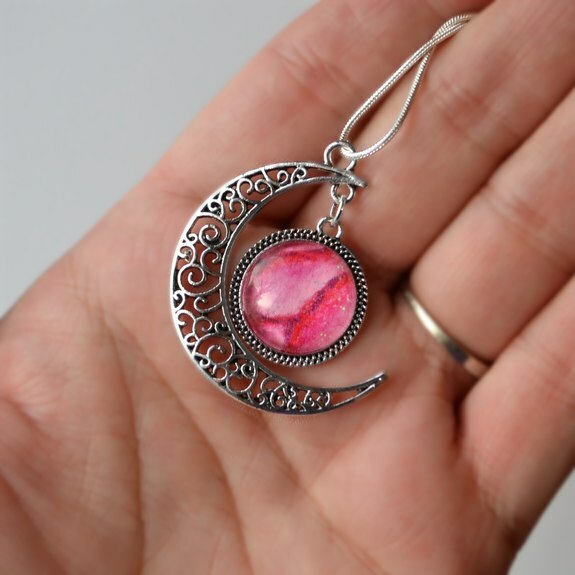 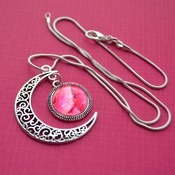 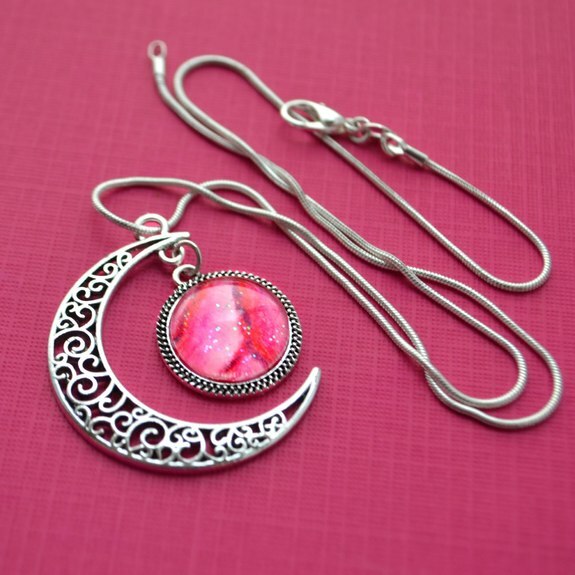 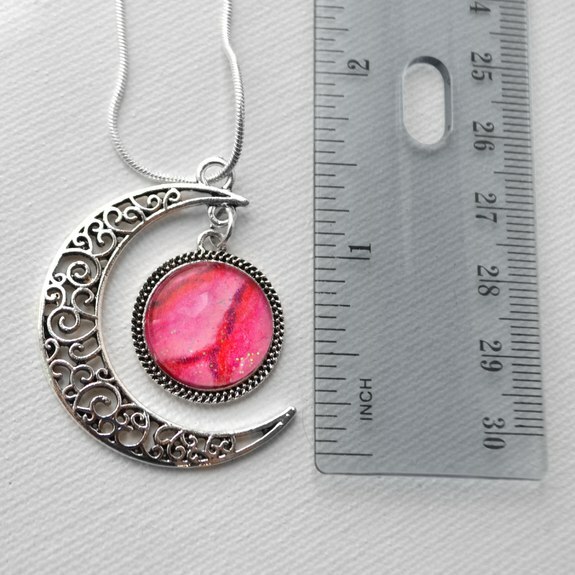 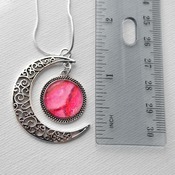 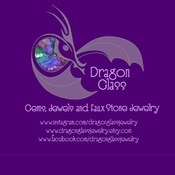 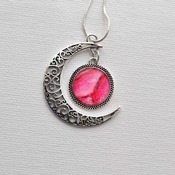 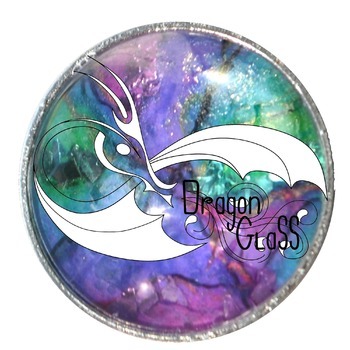 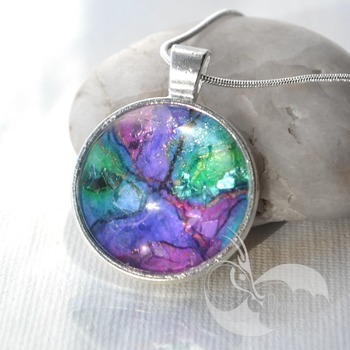 This particular piece of Dragon Glass jewelry is a crescent moon pendant but "Bubblegum" can be found and made into many other settings as well! 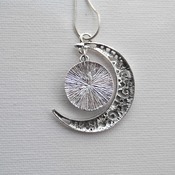 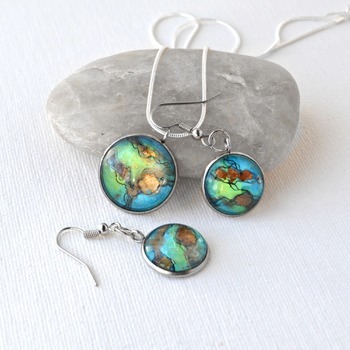 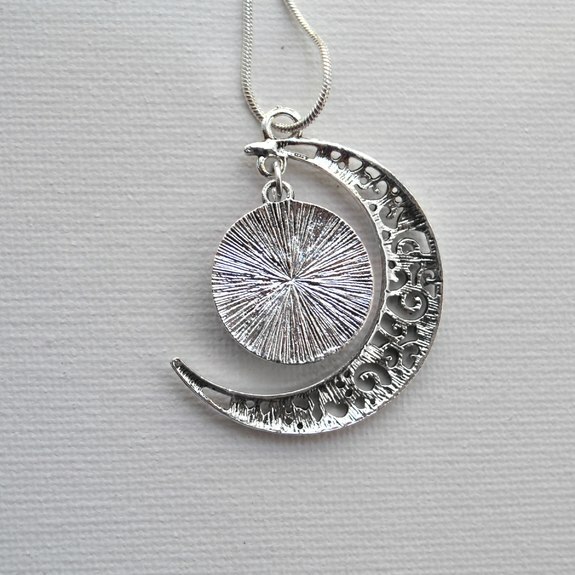 Including 1 inch round, square shaped, heart, Owl and even beautiful delicate dangling earrings. 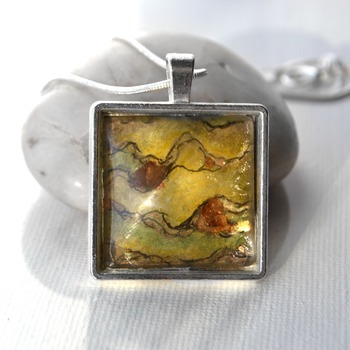 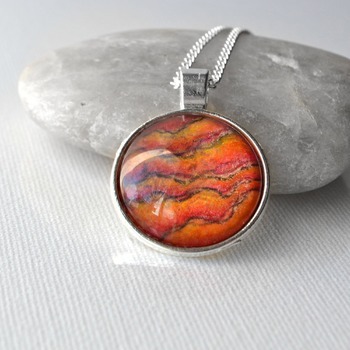 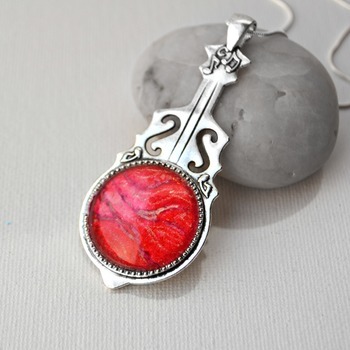 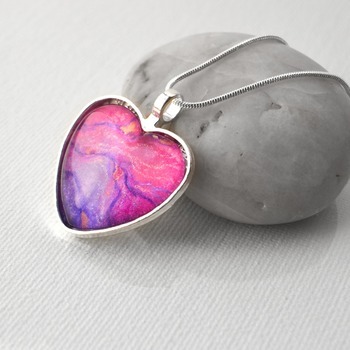 "Bubblegum Swirl" jewelry is a shimmery pink and red hand-drawn Gem set in a silver plated pendant that is as rare and Unique as she is.